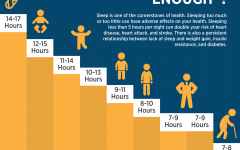 This year, sleep is the hot new thing (even though it’s kinda been around a while). With all kinds of companies coming out with products that are guaranteed to make you sleep better, live better, and be a more productive person – wouldn’t these things make a great gift? I mean, who wouldn’t want to live a better life? So I’ve put together a quick list of a few sleep products that are considered my top curated gifts for the 2016 holiday season. 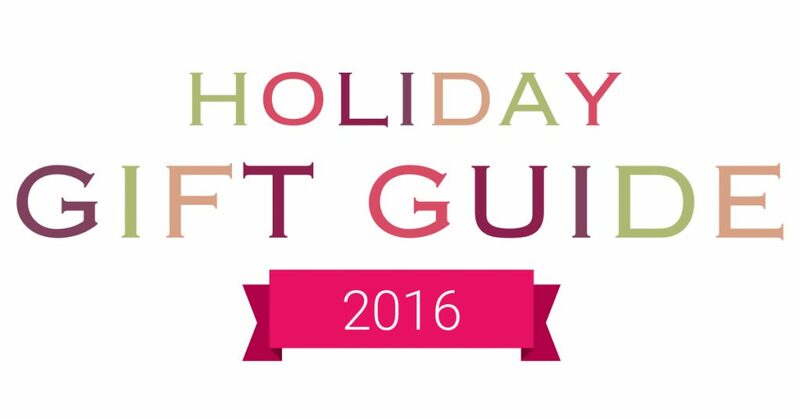 Hopefully these gifts give you a few ideas on what to get that special someone who could use some more zzz’s. A pillow at the top spot? Yup. I’ve been testing this pillow for over a month now and it’s my favorite pillow so far. At $79 this is a great gift for someone that otherwise might be hard to shop for. 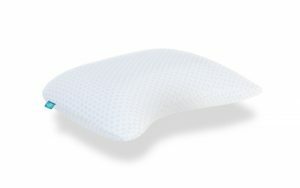 I love the side sleeper pillow – the pillow doesn’t get crazy hot at night and is super comfy. The shape is a little odd but it fits perfectly over the shoulder. Although it’s a bit on the small side I really don’t mind it – I just find myself tucking in my pillow case on the back side. Find the the HIBR Pillow on their website. Waking up to the ringer on your iPhone is so not cool anymore. The sudden jolt of your phone’s ringtone can make even the most blissful night end in an abrupt fashion. The Sense has fixed that with a wonderful alarm – and much more. This device includes a small tab that clips on your pillow and tracks your sleep at night. The device even checks air quality, humidity, noise and light to make sure your sleeping environment is just right. In my opinion, waking up with this device is a game changer. Find the Sense on their website. While this product doesn’t directly help you sleep – it can control the temperature of your house by simply talking to it. 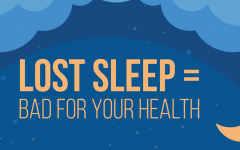 And we all know that you’ll get a more restful night if you’re not ripping your covers off in the middle of the night from a room that’s too hot. 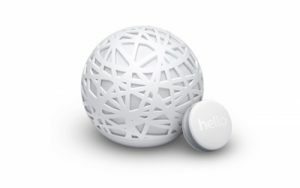 Google is really trying to build out their home automation series and I think this device can be a nice addition to the connected home of the future. 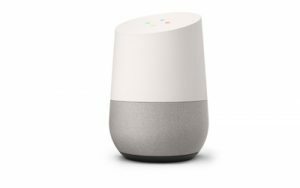 Find the Google Home on the Nest website. 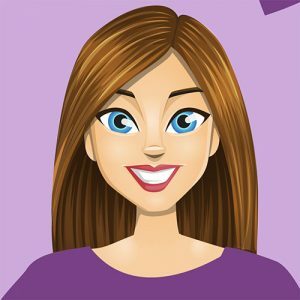 Do you have a newborn or know anyone with one? Of course you do – and this is a really interesting gift to give them. 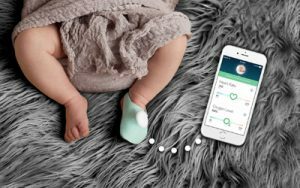 The Owlet keeps tabs on your infant’s oxygen level and heart rate. You can check their vitals directly from your phone and get notified if anything goes wrong. Included with the Owlet is a base station that keeps you notified of what is going on with your child’s vitals during the night. The goal of the Owlet is to reduce the chance of SIDS by alerting you to anything that might go wrong before it gets too serious. Find our more about the Owlet on their website. Finally, a relatively low cost and low tech gift for your favorite sleeper is a brand new sleep mask. This mask is wonderful as I have been using it for the last 3 months. When you need a nap during the middle of the day and can’t seem to relax this is just what I need when I want to zone out and forget about my environment. It’s great for plane or train rides too. The best part – it’s only $10 on Amazon. If you’re really a great friend or just want to treat yourself, then try these two nice additions to your sleeping environment. If you sleep super hot at night and need a great way to cool down, this might be the ticket for you. It’s a complete heating and cooling pad that actually runs water through it all night to keep the pad at the perfect temperature. At around $1,000 it’s a but pricey but well worth the investment if you can afford it. The constant hum of the motor that runs this machine might be a deal breaker if you prefer to sleep in perfect quiet – but then again it might provide a nice white noise for you to fall asleep with. 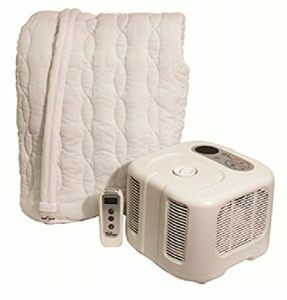 Either way, the Chilipad PLS~ Cooling and Heating Mattress Pad ~ Twin can be a really nice gift for your favorite hot-sleeper. Got $30K burning a hole in your pocket? Of course you do. That’s why you need the Tranquility Pod to completely zone out and relax while in your castle. 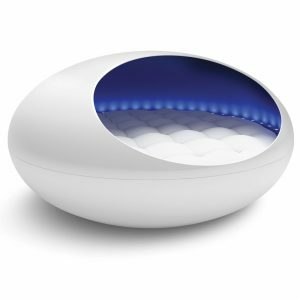 This futuristic pod syncs with your heartbeat, has a temperature controlled waterbed, plays music and might even cook you breakfast. Check out the tranquility pod on their website to get the full rundown.